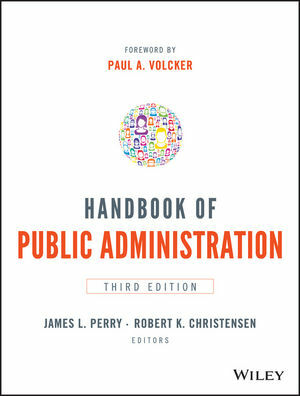 Handbook of Public Administration is the classic, comprehensive guide to the field, featuring original writings from the world's foremost public administration thought leaders and practitioners. Intended to help both public administration students and practitioners navigate administrative challenges, overcome obstacles, and improve effectiveness, this guide provides a complete overview of the entire field. The information is organized into seven parts representing key domains of knowledge and practice that are essential for effective public administration. These reflect changes in the state of modern public administration, the factors that influence policies and programs, the mechanics of how government works, and the tools that help administrators get things done. Readers will find insightful discussions on the challenges of contemporary governance and the ethics of public administration, as well as practical guidance on the everyday operations that bring effective policies and programs to life. The role of public administration is evolving, and the changing nature of the field will impact the way policies and programs are designed and implemented. This book fully explores current and upcoming changes domestically and internationally against the backdrop of public administration fundamentals. For the student or professional seeking a deeper understanding of the public administrator's role, Handbook of Public Administration is a clear, comprehensive resource. James L. Perry, PhD is Distinguished Professor and Chancellor's Professor of Public and Environmental Affairs, Indiana University, Bloomington, and World Class University Distinguished Professor at Yonsei University, Seoul, South Korea. He is also Adjunct Professor of Philanthropic Studies and Political Science at Indiana University. He currently serves as Editor-in-Chief of Public Administration Review. Robert Christensen, PhD, JD, MPA, is an assistant professor in the Department of Public Administration and Policy, School of Public and International Affairs, at the University of Georgia, specializing in public and nonprofit management. His work appears in such journals as the Journal of Public Administration Review and Theory, Public Administration Review, Nonprofit Voluntary Sector Quarterly, Administration & Society and several law reviews.